One of my favorite things to collect over the years for Christmas was fun and colorful nutcrackers. When I sold my house a few years ago, I sold everything in it including my nutcracker collection. Living in a motorhome means not much room for decorations. So this week, I decided to create a batch of tiny nutcrackers made from wooden spoons. And I’ve included a free pattern for you to make your own! 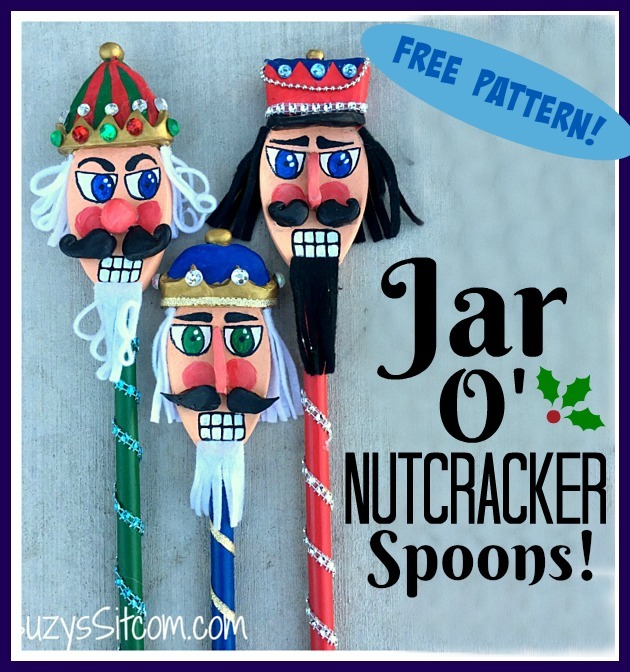 These easy to make Nutcracker Spoons are reminiscent of my Jar O’ Monsters Spoons. Minus the monsters, but with added Nutcracker grouchiness. 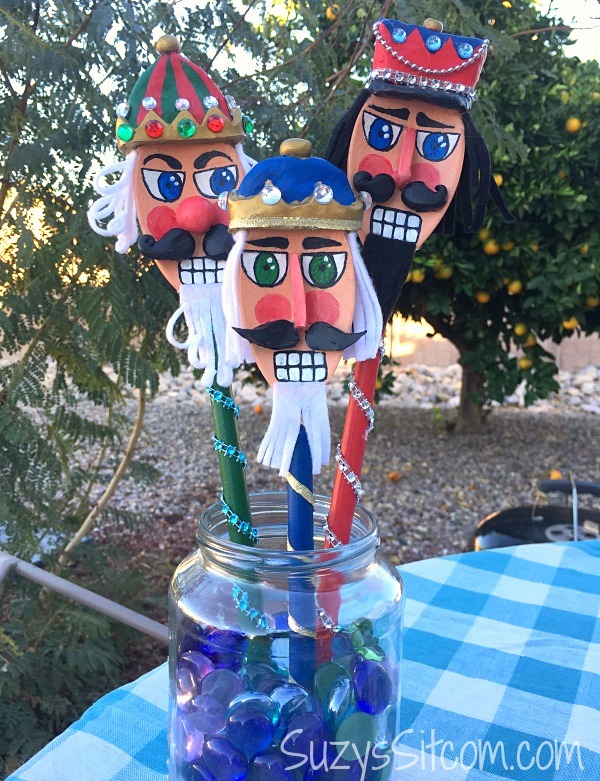 Grab a recycled jar, add some glass cabochons to it (you can find them at the Dollar Store), and put your Nutcracker spoons anywhere you would like for a bit of Christmas festivity. 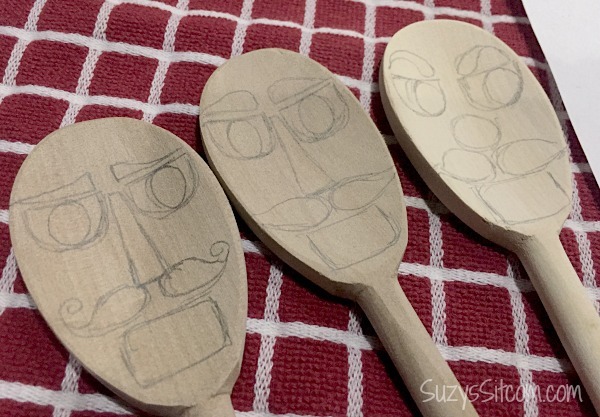 Begin by tracing the patterns onto each of the wooden spoons. Place the spoons onto a cookie sheet covered in aluminum foil. 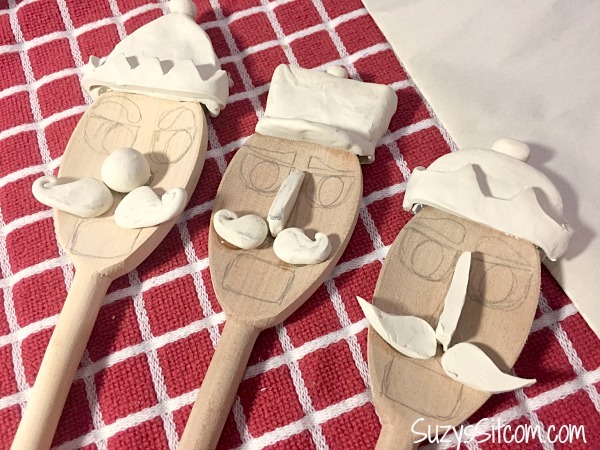 Knead the polymer clay until soft and then create the hats, noses and mustaches for each nutcracker using the pattern as a guide. 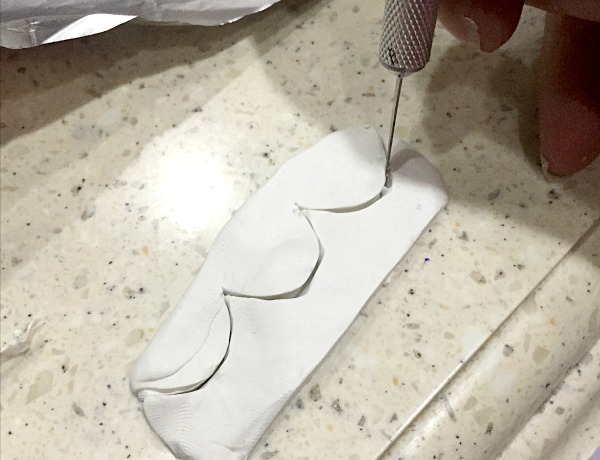 (Make the hats about 3/4″ thick and push the end of the spoon into them as shown above). 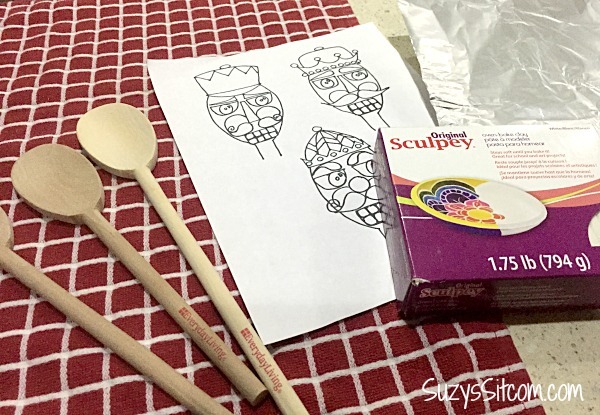 Create decorative parts of the crowns by rolling out the clay and cutting out the shapes with a craft knife. 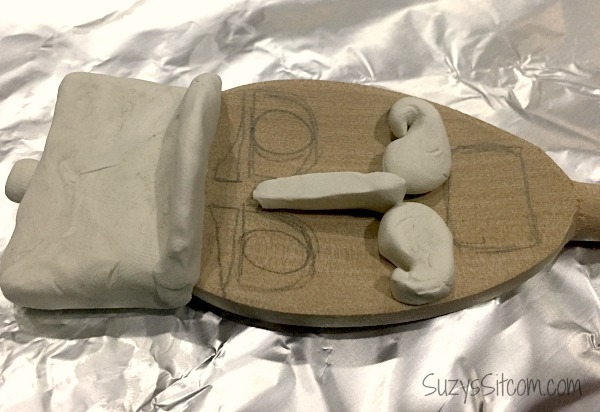 The photo above shows all three nutcrackers ready for the oven. Place them onto a foil covered cookie sheet and bake in a 275 degree oven for about 45 minutes. Remove from oven and cool completely before going to the next step. Next post: Easy Angel Votives made with paper towel tubes! Previous post: 16 Gifts in a Jar Recipes plus 60 more!